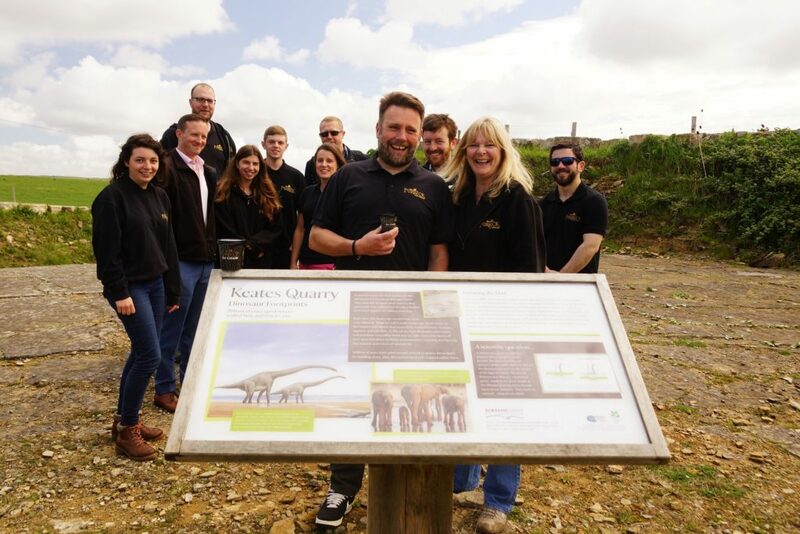 Purbeck Ice Cream and the Jurassic Coast Trust are teaming up to help families explore one of Dorset’s most fascinating sites, the Dinosaur Footprints of Keates Quarry. 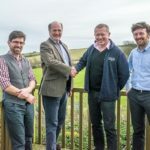 Proceeds raised from sales of Purbeck Ice Cream’s Jurassic Range will go towards offering free places for children on a series of 12 guided walks to the footprints, taking place between April and October this year. Since launching the Jurassic Range in late 2017, Purbeck Ice Cream have raised nearly £1,500 in donations to the Jurassic Coast Trust. 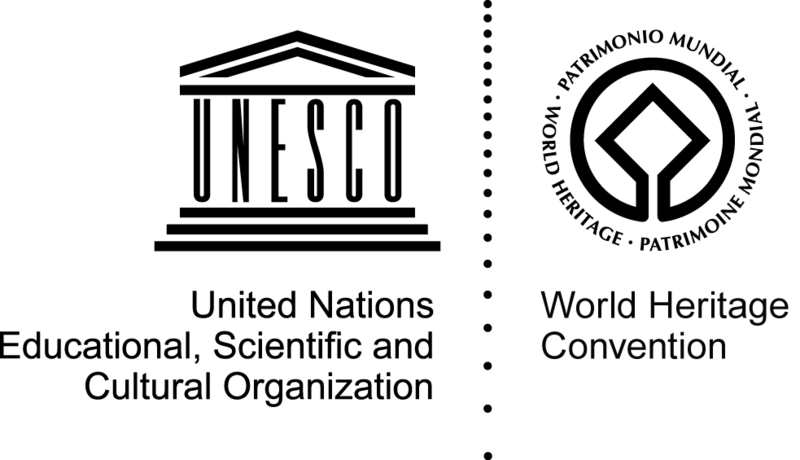 These donations are vital in enabling the Jurassic Coast Trust to protect the coast, ensuring that it retains its UNESCO World Heritage Site status. The two organisations are now proud to collaborate on this year’s series of walks, which will be led by the Trust’s expert volunteer “Ambassadors”. The walks start at the famous Square and Compass pub in Worth Matravers, and involve a gentle walk across Purbeck’s rolling hills before arriving at Keates Quarry. Here, over 100 dinosaur footprints have been preserved in rock. Scientists believe they were made by giant plant-eating sauropods during the late Jurassic period, 145 million years ago. Easily accessible and able to be comfortably walked across, the footprints are an absolute must-visit for dinosaur fans of all ages. Places on the walks are free for children and £6 for adults, and can be booked here. Purbeck Ice Cream’s Jurassic Range includes Dig-A-Saurus, Ammonite Bites and Purbeck Rocks, with a fourth flavour, “Skull-Diggery”, recently added. The range is available through numerous local outlets as well as at events such as the Weymouth Seafood Festival and Dorset County Show. Introducing our new addition to the Jurassic Range. Have you seen it in your local stockist? Skull-Diggery – excavate carefully through the chocolate ice cream to discover white chocolate bones & skulls, the ice cream rocks!5p from every tub goes to Jurassic Coast Trust to help protect, conserve and educate people about our beautiful Jurassic coastline.